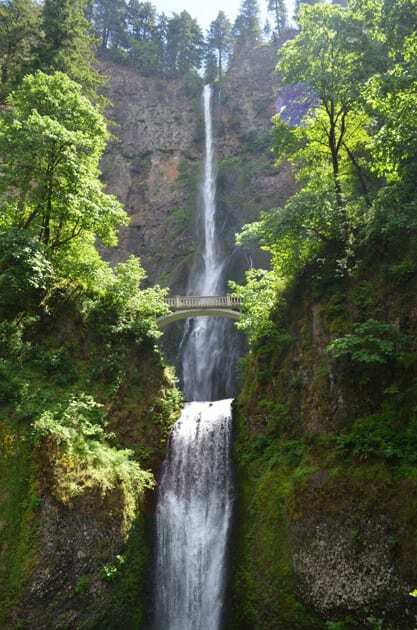 Visiting Portland, the scenic town that lies along the Willamette River, I found the lushness in the landscape very appealing, whether strolling in Portland’s many parks, walking along the waterfront viewing the bridges or nearby on a drive up the Columbia River Gorge. 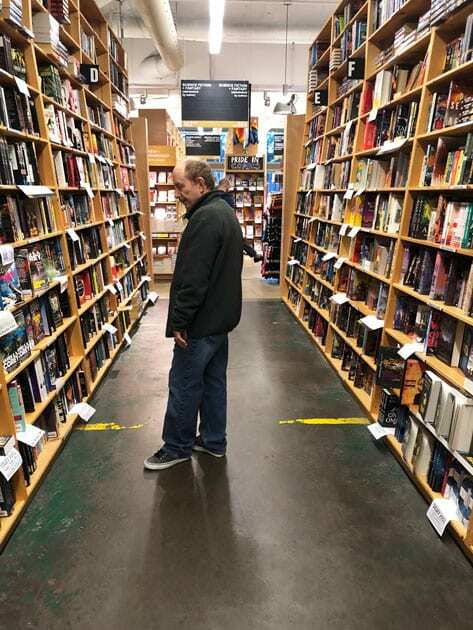 Recently after finishing a wine tour of the Tualatin Valley my husband and I decided to spend a long weekend in the city. Our visit included exploring the city, visiting wine country and taking a day trip down the Columbia River Gorge. One can also take a day trip to Mount Hood. Portland’s central location allows one to visit many of Oregon’s top attractions. An exploration to Portland must include a visit to Powell Books. It is a bibliophile’s paradise. Located in the Pearl District of Portland the store stays open till 8 pm. The store encompasses a large city block. Amazingly on a Saturday night, the store was hoping at 8 pm. The Pearl District is the happening place for nightlife. The area once full of warehouses, light industry and railroad yards now houses upbeat galleries and restaurants. 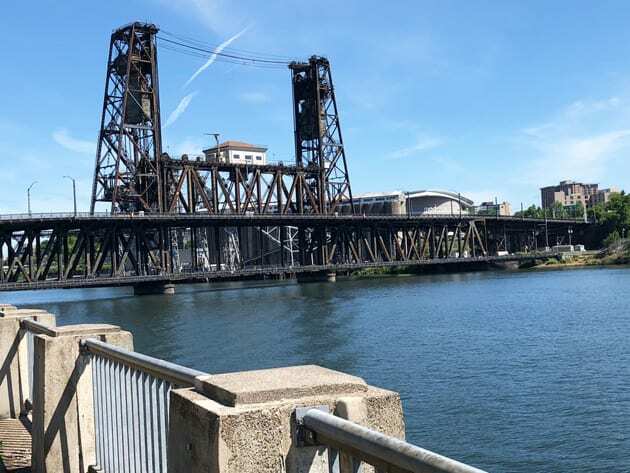 Portland is known for their bridges that span the Willamette River. An excellent place to view many of these bridges is on the waterfront where you can leisurely stroll along the Willamette River. Adjacent to waterfront one can wander through the Saturday Market, which is also open on Sunday. Browsing around one finds various artisan displays. We walked away with a new collar for our dog and baskets made of colorful chopsticks. 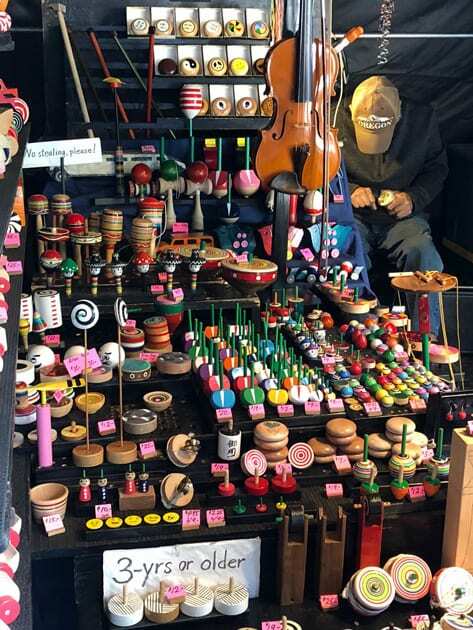 A vendor at Portland’s Saturday Market. A visit to Portland should include a stop at the Pittock Mansion. 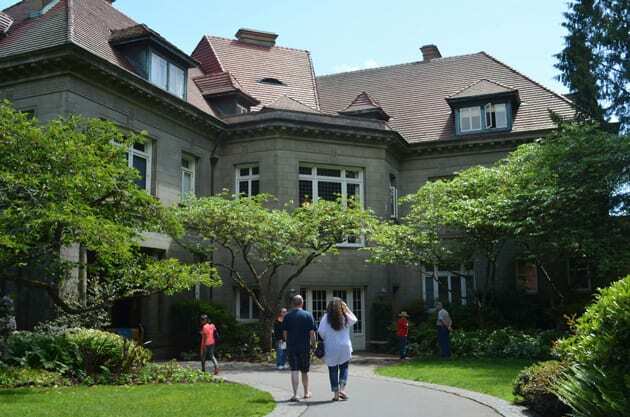 The house was built in 1914 for Henry Pittock, the owner of the Oregonian newspaper. The mansion lies on a hill overlooking the city and has a magnificent panoramic view of Portland. Inside the home, you learn about one of Portland most notable family’s. Visiting the mansion includes a visit to the gatehouse where Pittock’s butler lived for many years. In the spring, I fell in love with the landscape especially seeing all the Rhododendron in bloom. If you are a gardener at heart, there are two places to consider while visiting Portland. The first, International Rose Test Garden is a rose lovers paradise when the flowers are in bloom. Find over 650 varieties of roses. 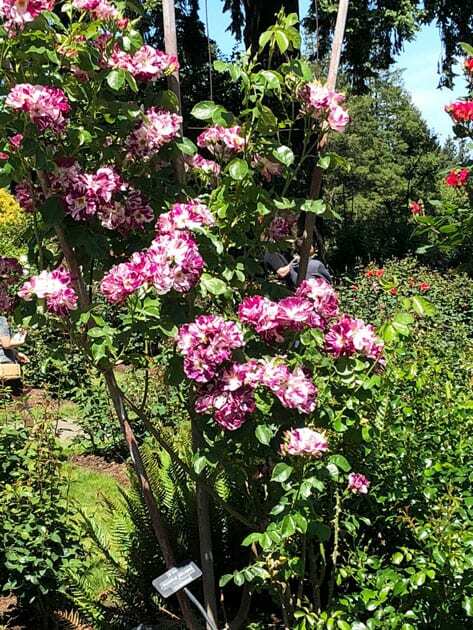 The Rose Garden originated in 1917 when Jesse A Currey, President of Portland Rose Society decided to create a garden as a safe haven for hybrid roses during World War I. Today; the Rose Garden is located in Washington Park where you will also find Portland’s Zoo and Japanese Garden. 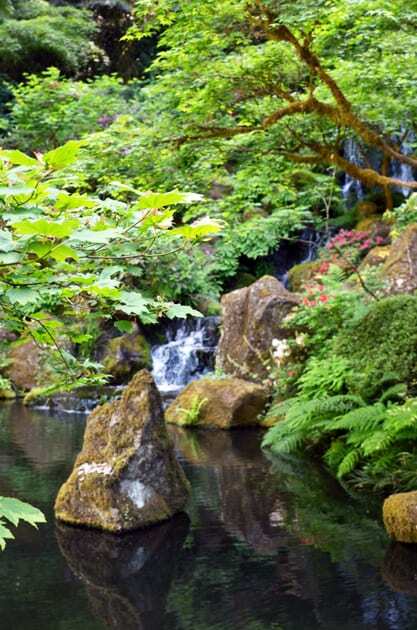 A stroll through the Portland Japanese Garden inspires a peaceful calm away from the hustle of the city. Meandering the garden pathways, one feels the serenity and beauty of this idyllic place. The inspiration for the gardens came in the 1950s when to strengthen the ties Portland had with Japan. The gardens opened to the public in 1967. The garden is considered one of the most authentic Japanese gardens in the world. Last year the Cultural Village opened. The peaceful Portland Japanese Garden. Visiting Portland not only includes visiting the city sights but if wine is your thing, one must take a day to explore the Willamette Valley. Being my husband had not joined me on my winery excursion in Tualatin, I decided to give him a taste of what Oregon and the Willamette Valley are best known for, Pinot Noir. We started our wine journey to Beckham Estate Winery, a winery that is known for their amphora wines. Owner/winemaker, Andrew Beckham a ceramic artist and teacher exemplifies the modern tradition of making Amphora wine. It is an art form unto itself starting with the making of the amphorae through the production of the wine. Our next winery stop took us down to Salem, a 45-minute drive to visit St. Innocent Winery. Although this winery has been around since the late 1980s, owners Mark and Vickianne Vlossack are celebrating their 30th year making wine, primarily Pinot Noir and the opening of their new winery location. A visit to Portland must include a drive down the Columbia River Gorge. For nature lovers this scenic area is spectacular. Meandering your way down Highway 84 one gets to admire the picturesque view of the Columbia River and the cliffs that rise above. Our day took us to the Multnomah Falls, the Cascade Locks, and the Bonneville Fish Hatchery. We picnicked at the hatchery after checking out the sturgeon and rainbow trout pools. One finds an eclectic array of food establishments in Portland. One of the most popular places is Andina, a Peruvian Restaurant in the Pearl district. If you are looking to taste something different definitely seek out Andina but make sure you make a reservation way in advance, as the restaurant is trendy. 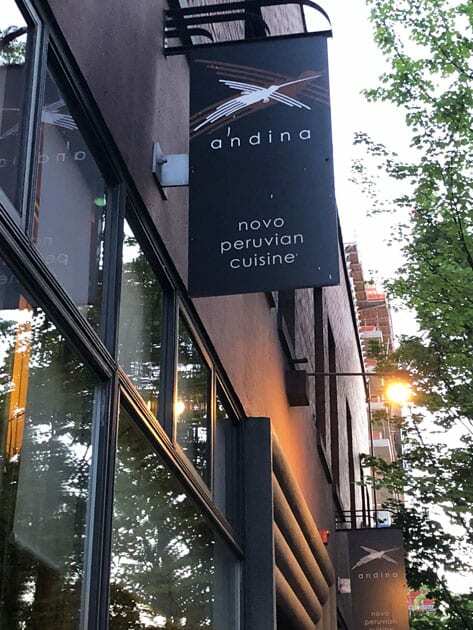 Andina Peruvian Restaurant in the Pearl District of Portland. 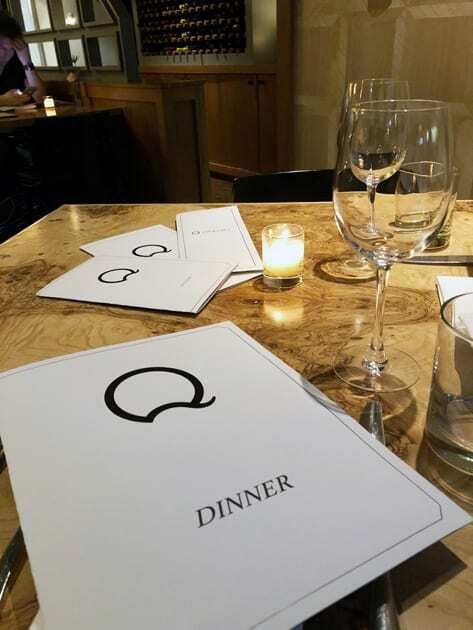 Down near the waterfront in Pioneer Place is Q Restaurant. Specializing in local Pacific Northwest Cuisine. I enjoyed an Osso Bocco accompanied by grilled Asparagus. For lunch, we chose a lighter fare and went to Jake’s Grill, a downtown Portland restaurant that features American Cuisine. 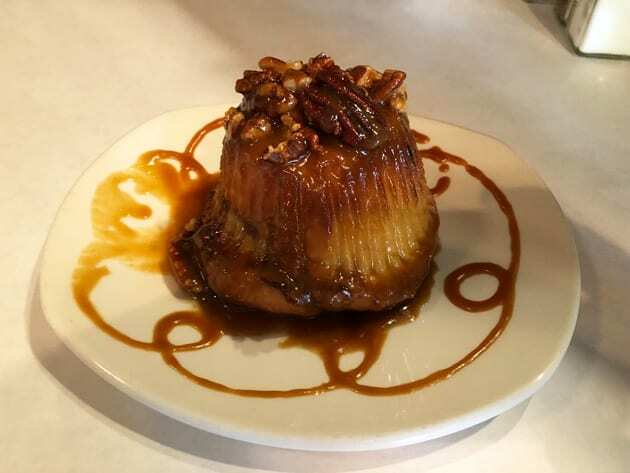 One must check out the sticky buns. 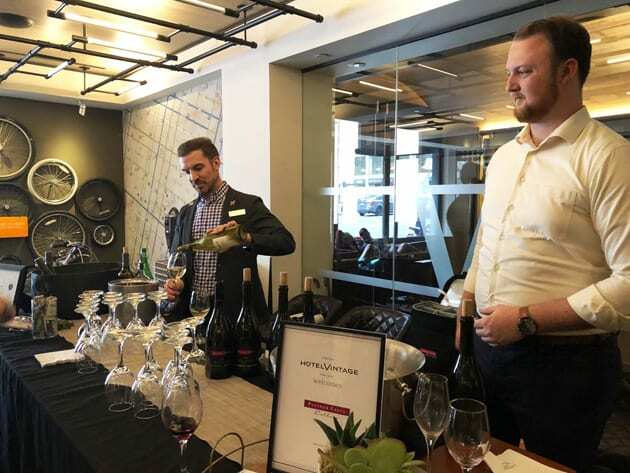 The Kimpton”s Hotel Vintage is a Pacific Northwest establishment that caters to the wine enthusiast. Located in both Portland and Seattle, the hotels are extremely dog-friendly. Think urban hotel meets urban wine tasting room and you have the Hotel Vintage. 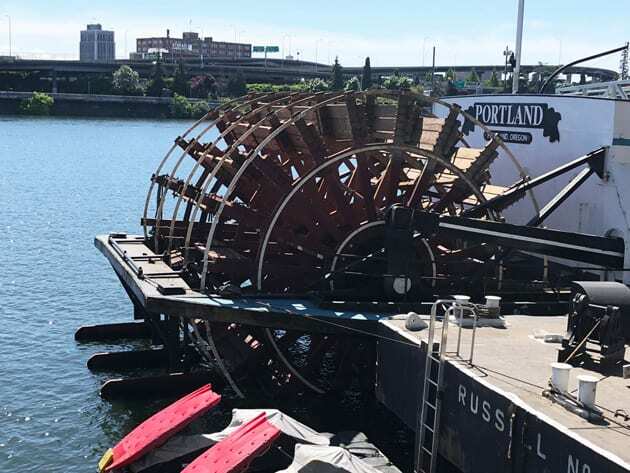 Hotel Vintage is located in downtown Portland yet is in walking distance to many city attractions including the waterfront, the Pearl District and the Portland Art Museum. With a focus on wine, this boutique Portland hotel offers rooms named after wineries located in the Willamette Valley. I stayed in a suite called St Innocent, which happened to be the winery I visited on my second day in Portland. Of course, I scheduled my winery plans before I arrived in Portland. My room was very comfortable, and the hotel made every effort to make me feel at home. Wine Tasting at the Kimpton’s Hotel Vintage Portland. Each night my husband and I went down to sample the happy hour wine. On Saturday nights they bring in a local Willamette Valley winery giving patrons of the hotel a sample of the wines this region offers. Like any weekend escape, we only touched the surface of what Portland has to offer but it was enough to encourage use to return in the future. Note: Common to both the travel industry and wine industry, this writer was hosted accommodations, some attractions and winery visits. While it has not influenced this review, the writer believes in full disclosure.